A version of this article as it appeared in the New Haven Independent on July 20, 2015 can be viewed here. Despite desegregation efforts in the last half century like the Fair Housing Act, Sheff vs O’Neill, and Connecticut Statute 8-30g among others, New Haven – like many places – remains segregated along socio-economic lines. What’s more, neighborhood inequality has risen in Connecticut since 1980, with more residents living in either “very rich” or “very poor” neighborhoods and fewer living in “middle class” neighborhoods over the last 35 years. With that in mind, this article will focus on two seemingly contrasted New Haven neighborhoods – Newhallville and Goatville. 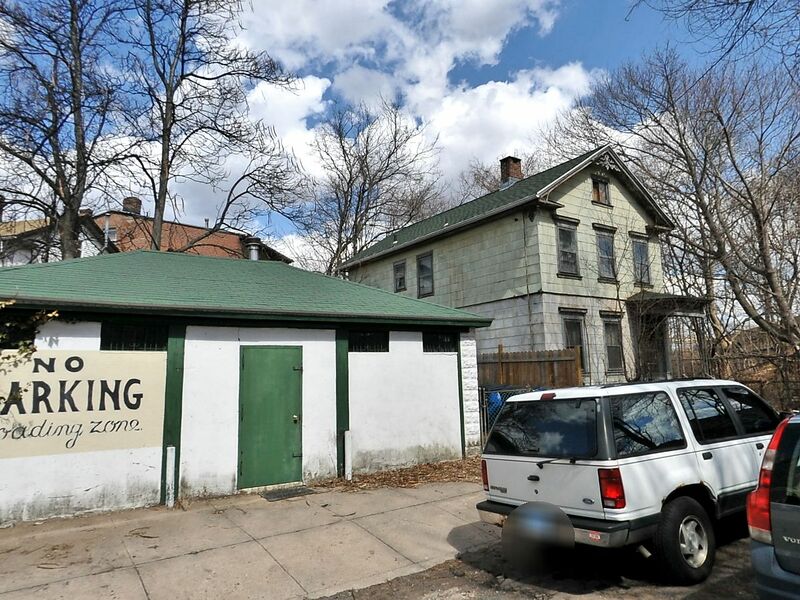 Newhallville, a community bounded by Division Street, the base of Prospect Hill, the border of Hamden, and Beaver Pond Park, is typically described as a low-income neighborhood with high crime rates, decrepit buildings, and declining prospects. Goatville, a small neighborhood nestled between I-91, the Mill River, Orange Street, and Bishop Street, will – for the purposes of this article – extend to Bradley Street to include the community south of Humphrey Street (SoHu) as well as State Street. Goatville is considered a part of the East Rock High Income Area, which is often seen as a privileged enclave of wealthy households residing in large, private homes. Development first pushed northward beyond the Nine Squares along Orange Street in the 1830s during the city’s short-lived Canal Era. By 1850, small houses and shops dotted narrow streets on the blocks south of Eld Street while land between Clark and Eagle Streets existed as farmland. Although the Farmington Canal ran directly through what would become Newhallville, the area remained sparsely populated farming land prior to 1850. With the arrival of railroads in the 1840s, New Haven transitioned from a mercantile and artisanal trading economy to manufacturing. This switch required that accommodations be made for the growing wealthy class of factory owners, middle class of shopkeepers and managers, and laboring class of immigrants. In Goatville, to meet this new demand, land north of Clark Street between State and Orange was subdivided for residential development. By 1860, blocks south of Bishop Street were populated with churches, shops, and residences with larger mansions concentrated on Orange Street, modest houses on side streets, and tenements on State Street. By the 1850s, the Farmington Canal had been replaced by the New Haven and Northampton Company railroad, which led several small manufacturers to locate factories adjacent to the line. Among these first manufacturers was George Newhall, whose carriage factory and nearby worker housing inspired the neighborhood’s name. Although many of Newhallville‘s streets east of Dixwell had been laid out by the late 1860s, the neighborhood remained thinly settled. The arrival of horse-drawn streetcars to New Haven along with the continued establishment of industrial facilities along the Mill River encouraged further development in Goatville. By the 1870s, housing had sprung up on a network of streets north of Edwards, including Mechanic, Nash, and Nicoll, that would eventually form an Irish enclave known for roaming goats and pigs. 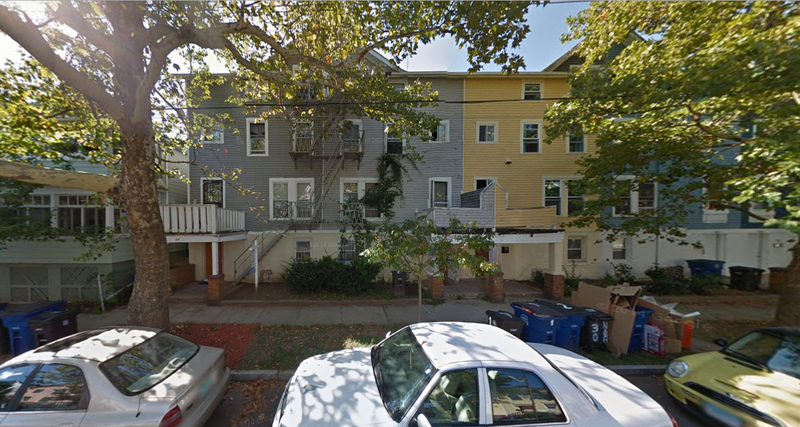 Meanwhile, rowhouses began appearing on previously undeveloped lots on the blocks south of Humphrey Street. The 20th century brought electrified trolley lines, larger industrial plants, and continued growth in Goatville. Along State Street’s transit line, commercial development concentrated. 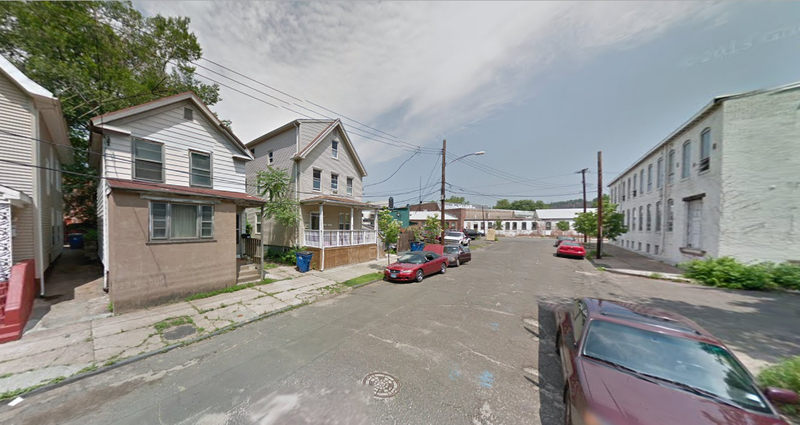 By the 1930s, residential development had reached Canner Street, while wartime housing demand resulted in the construction of apartment buildings on any vacant land remaining throughout the Orange Street district. The Winchester Repeating Arms Company began operating in Newhallville in 1870, bringing with it a demand for worker housing and auxiliary commercial enterprises like grocery stores, butcher shops, and bakeries to serve the growing residential population. The war years were particularly advantageous for weapons manufacturers as government contracts supplied a steady revenue stream, which in turn fueled more housing construction and commercial development in adjacent neighborhoods. At its peak, Winchester employed 19,000 people; many workers lived in Newhallville and either walked or took the trolley to work. By the 1920s, the automobile was pushing suburban development into Hamden – a phenomenon that would partially influence dramatic urban changes still to come at mid-century under the leadership of Newhallville’s own and childhood resident of Shelton Avenue, Richard C. Lee. In New Haven, the Urban Redevelopment and Interstate Highway programs were coordinated with the State of Connecticut Department of Transportation by Mayor Lee’s Redevelopment Agency, which was headed by Edward Logue. Highway construction sought to alleviate traffic congestion within the city and entice suburban shoppers into New Haven’s Downtown. The construction of Interstate 91 proved enormously destructive to Goatville where nearly every connecting street to Wooster Square east of State Street – save one or two – was completely severed. Furthermore, large swaths of housing, stores, and institutional buildings were demolished to make room for the highway. In Newhallville, the urban renewal program managed to displace a total of 363 households even without running an expressway through the neighborhood. At the time, however, Newhallville’s problems were much more severe than demolition from highway construction. The force that pumped life into the neighborhood, Winchester Repeating Arms, decided to move the majority of its production line to an Illinois facility – producing a gaping wound from which Newhallville has yet to recover. Far from immune to de-industrialization, Goatville also entered a period of decline in the wake of urban renewal. Inexpensive mortgages were more difficult to secure in Goatville – having been designated as “a low yellow” area in 1937 by the Home Ownership Loan Corporation (HOLC), which was notorious for its redlining practices. By the 1980s, many buildings north of Edwards and along State Street were is in a serious state of disrepair as a result of vacancy, deferred maintenance, or unsympathetic renovations. Adding to the problems of the neighborhood were drug-dealing and prostitution along State and East Streets. To address these issues, the city implemented community policing centered around neighborhood walking beats along with establishing a community development target area, which encouraged property owners to apply for loans to rehabilitate building exteriors. HOLC was similarly discriminant to Newhallville in 1937 – blanketing the neighborhood with a yellow, C-grade rating. The effects of de-industrialization, however, were much less kind to Newhallville than its neighbor on the other side of Prospect Hill. 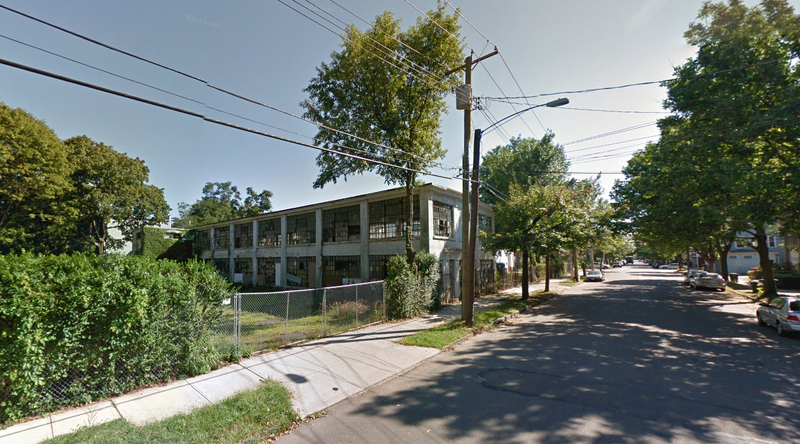 By the early 1990s, dozens of abandoned buildings populated streets like Thompson, Starr, Hazel, and Winchester. Used as drug houses, popular for arson, or structurally unsound, these buildings served as hazards to the neighborhood. To make matters worse, violent drug gangs like the Newhallville Dogs, The ‘Ville, Read Street Posse, and the Mudhole operated throughout the neighborhood – responsible for numerous murders and fueling property crimes committed by drug addicts. 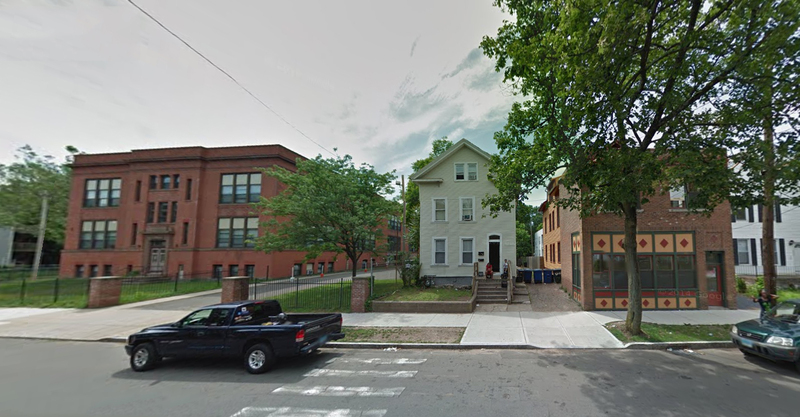 In a fit of desperation and in stark contrast to the method employed in Goatville, the City of New Haven – through the Livable City Initiative (LCI) – went on a demolition spree in lower Newhallville in 1996. With inexpensive rents, a variety of shops, and close proximity to Downtown and Yale University, Goatville has become a popular destination for graduate student housing, young professionals, and families. Recent development projects in the neighborhood such as the adaptive re-use of the Lovell School and Star Supply, go along with countless renovations undertaken by individual homeowners and investors. 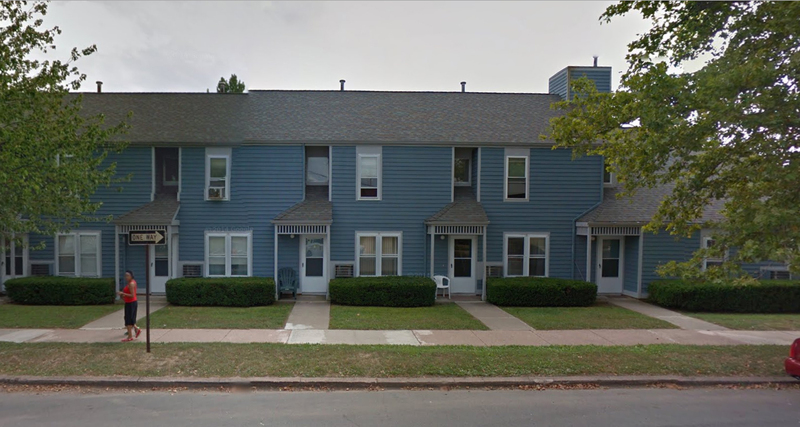 Speaking to the success of the neighborhood, Goatville was identified as a “non-impacted area” where scattered site public housing units managed by the Housing Authority of New Haven could be located in accordance with a Connecticut District Court decision. Reaffirming that success, was a 2011 citywide revaluation of property values, which showed Goatville’s properties rising an average of 35% in value since 2006. Newhallville, on the other hand, saw property values decline by 15% over the same time period. The neighborhood, however, appears to be slowly coming back from the brink. Notable projects include the redevelopment of the Winchester Repeating Arms property adjacent to Science Park. 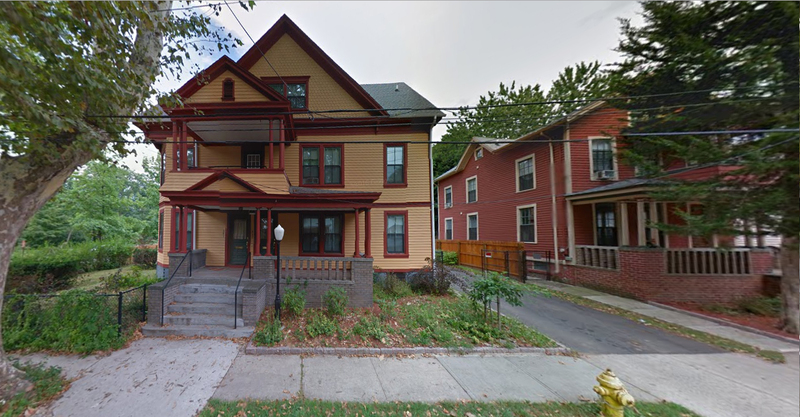 On another front, Neighborhood Housing Services of New Haven (NHS) has been hard at work in Newhallville acquiring distressed properties, applying for preservation funding, and rehabilitating the neighborhood’s building stock for affordable housing while providing invaluable home-ownership counseling. Abandoned for decades, the former Farmington Canal has now been converted into a trail – complementing bike lanes recently added to Dixwell Avenue. Many of the vacant lots created by LCI have since been turned into community gardens or purchased by adjacent property owners for use as side yards and driveways. While much work remains to be done, Newhallville’s worst days appear to be in the past. Conventional analysis of Goatville tends to lump the neighborhood in with the East Rock real estate area that includes the wealthier Whitney-Orange corridor. As a result, the neighborhood’s working class history and period of decline following urban renewal are often forgotten in favor of discussing elitism, gentrification, and the relative wealth of East Rock compared to other parts of the city. Meanwhile, Newhallville is often dismissed as a lost cause whose fate was too intertwined with Winchester Repeating Arms leading its beautifully detailed and ornate housing stock to be overshadowed by vacant lots and poorly maintained slumlord-owned properties. Newhallville’s future success or failure will depend heavily on the perceptions of families, investors, and employers. The future of Goatville also depends on places like Newhallville; will property values and taxes continue to soar in Goatville leading to increased inequality through unaffordability, or can a type of equilibrium emerge where investment is indiscriminant and access to every neighborhood remains open to all incomes levels? To illustrate the point that Newhallville is often dismissed and overlooked, this article has been structured in a way that may lead viewers to assume that the top image of each pair corresponds to a street scene in Newhallville, while the bottom view is from Goatville. In fact, every image with a red negative (minus sign) can be found in Goatville and every picture with a green positive (plus sign) is from Newhallville. Same with the banner image at the very top of the article – the left hand image is actually from Goatville and the right hand image is from Newhallville. 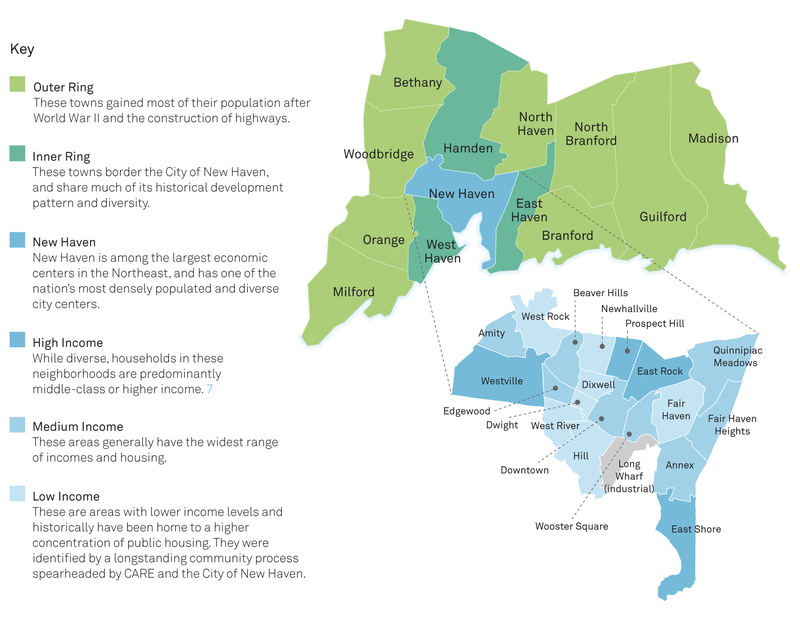 While it is vital to discuss growing income inequality and neighborhood segregation in Connecticut, it is equally important not to over-generalize places – losing important details and nuances. Hopefully, this article has expanded our knowledge about two New Haven neighborhoods while shedding some light on how conventional narratives can shape our perception of those places. For an analysis of block conditions in Newhallville showing some of the property improvements along with many of the blight issues that still face neighborhood, check out a Yale undergraduate’s 2013 study here and for a brief look at corner stores in the neighborhood, see here. 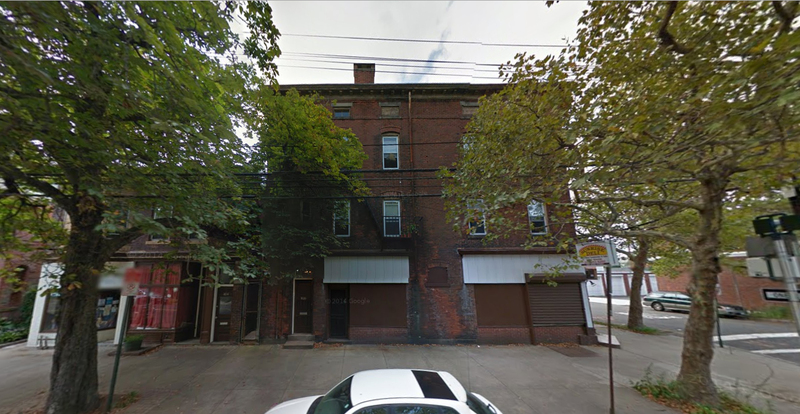 Banner Image (left): 133-139 Bradley Street near the corner of State Street. This street is located in the SoHu (South of Humphrey) community, which along with Goatville forms the larger Orange Street neighborhood. The wood siding of 133 Bradley was stripped of paint and repainted in the Fall of 2016. 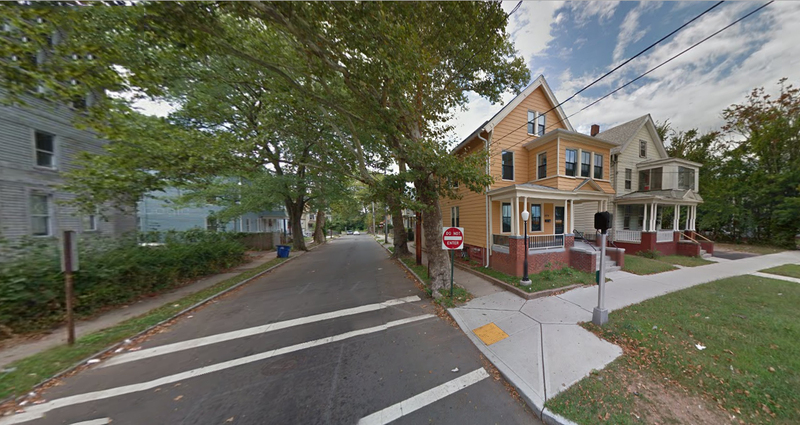 Banner Image (right): 678 Winchester Avenue near the corner of Lilac Street. 1a. 4 Pearl Street as seen from State Street. 1b. 339 West Division Street near the corner of Sherman Parkway. 2a. View of Hine Place looking towards State Street. 2b. View of Lilac Street looking towards Butler Street. 3a. 582-588 East Street. This area can more accurately be described as part of Upper State Street. 3b. 660-664 Winchester Avenue. Former Ivy Street School on the left, now offices. 4a. 191 Foster Street. Former Lehman Brothers printing press factory buildings. 4b. 150 Munson Street near the corner of Winchester Avenue. Closer to the Dixwell neighborhood, but a part of the former Winchester Repeating Arms factory complex. 5a. View of Mill River Street looking towards State Street. 5b. 504-508 Dixwell Avenue looking down West Division Street. 6b. 324 Goodrich Street. Technically part of the Highwood neighborhood of Hamden, but right on the border of New Haven where these two neighborhood meld seamlessly into one another as evidenced by a park recently created in the area. 7a. 197-199 Foster Street; 14 Canner Street; and 268 Nicoll Street. 7b. 221 Shelton Avenue, Green Garden of Hazel Street community vegetable garden. 8b. 717-729 Winchester Avenue near the intersection of Bassett Street. 9a. 754 State Street; 131-133 Bradley Street. 9b. 315-323 West Division Street near the corner of Dixwell Avenue. 10a. 79 Lawrence Street near the corner of Foster Street. 10b. 714 Dixwell Avenue at the corner of Bassett Street. Since 2015 when this article was originally published, nearly every building example from the Goatville, Orange Street, and State Street areas of East Rock have been renovated. Since 2016, the storefront of 4 Pearl Street at the corner of State Street has been occupied with a Polish grocery – recalling the cultural history of the neighborhood, which includes the nearby St. Stanislaus Catholic Church. 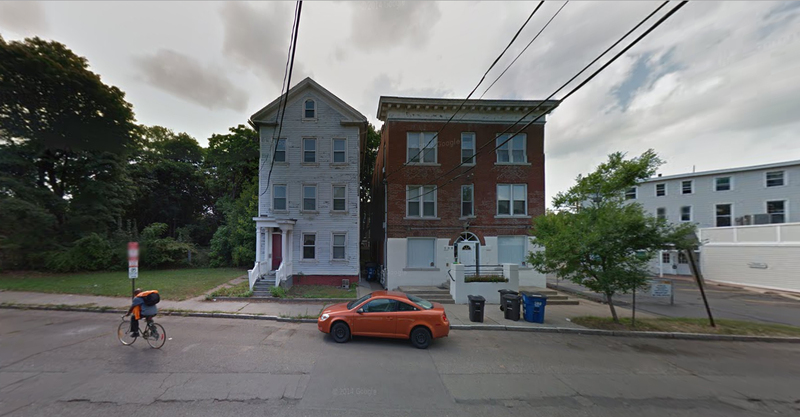 The buildings at 582-588 East Street were renovated in the Fall of 2015 and 67 Beech Street was demolished for the creation of a surface parking lot for the East Street apartment buildings in 2017. 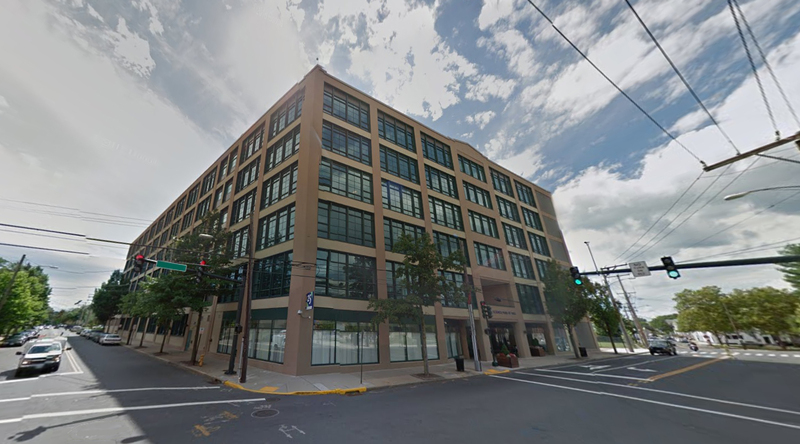 In October 2017, a proposal to create condominiums on the former Lehman Brothers printing press factory site at 191 Foster Street was presented to the city. In 2016, the Corsair apartment complex opened on upper State Street – replacing another abandoned factory complex. The facades of the separately-owned rowhouses at 24-36 Nash Street were comprehensively renovated in the Winter of 2017 with uniform siding. The wood siding of 133 Bradley was stripped of paint and repainted in the Fall of 2016. A restaurant now occupies the adjacent commercial building. The tale of two cities….as a past resident of Newhallville, and a current business owner there, I see the revitalization of the area and believe that the neighborhood will be once again restored to its past glory. We must first rid ourselves of the perception that it all bad, but to see it for its affordable housing, access to downtown, Yale and SCSU.